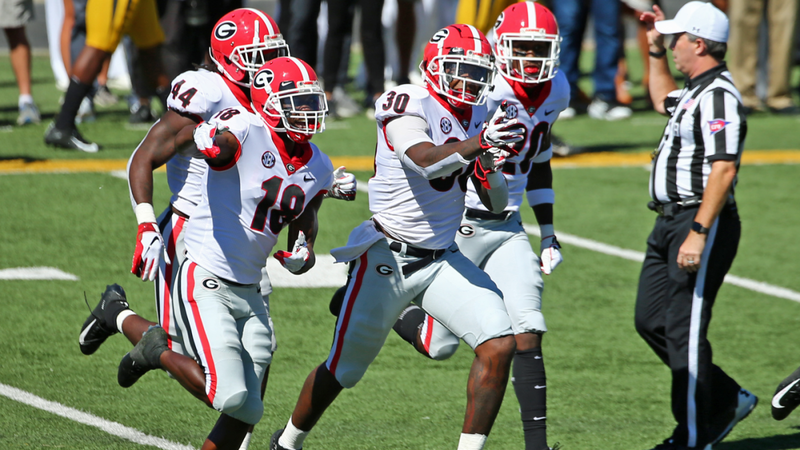 The Georgia Bulldogs claimed the SEC East title for the second year in a row, and hype levels are at a fever pitch in Athens with the chance for redemption against Alabama next month after last season’s national title game loss. Despite a stumble against LSU, Georgia beat Florida and Kentucky in back-to-back weeks to punch its ticket to the SEC Championship Game. And like any SEC team, when the Bulldogs are good, Georgia’s campus is rowdy. There are plenty of things to do on the Georgia campus in Athens, but one of the time-honored traditions is “ringing the bell.” It’s a large bell toll that was once used to signify the end of classes on Georgia’s campus, but now it’s to let people know: Stop what you’re doing. The Bulldogs are playing. After the bell tolls, you can go to The Place. If it’s Saturday, however, get there early, because the place will be packed to the doors. With amazing southern favorites, fried chicken and chicken and waffles, The Place is pretty much eating at home with a few turns. Finally, you can cleanse your palette at Magnolias. Full of Georgia craft beers, Magnolias is where you go for a relaxed atmosphere except — you guessed it — on gameday. There’s plenty to do in Athens leading up to the games, and that’s not even to mention the tailgating. There are food and drinks galore on gameday, so hit up a spot and watch Georgia play.